Seats 6-8 Guests. 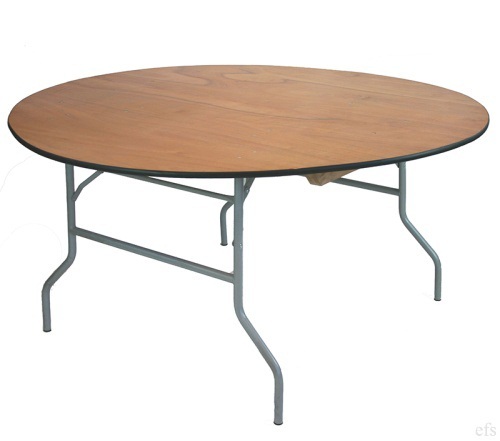 48" round table, 30" height. Folding legs, wood top.